For many people, the art of Bollywood dancing is a spectacle of movement and emotion. No other dance form seems to capture the wonder and intrigue of Indian dance. In fact, Bollywood dance is often a hybrid of many of India’s most influential dance styles. Like Bharatnatyam dancing, Kathak is a classical dance form, one of the eight major styles. Deriving from the word katha, which translates to “the art of storytelling,” Kathak strives to entertain the crowds with historical lessons and dramas. Learning from any of the dance schools will enable dancers to enjoy the rhythm while also connecting them to the past. 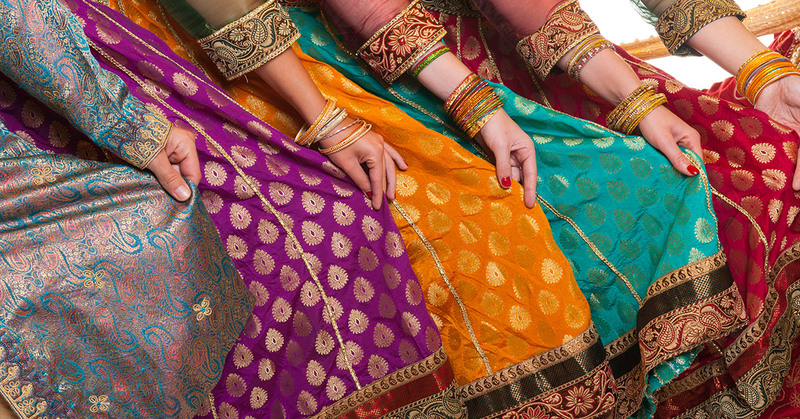 Shingari’s School of Rhythm offers enjoyable Bollywood dance classes for dancers of all ages! Our Bollywood dance school couples the enjoyment of dancing with the rich history surrounding it. Last time, we looked into the history of Kathak and how it has brought us to the modern times. Today’s blog will focus on contemporary Kathak dance and the elements that comprise it. Today’s Kathak dancers strive to blend the traditional styles with modern themes and elements. Individualism is now celebrated and embraced as part of the art form, helping it to connect to the younger crowds. As a modern classic, it also speaks to those who were raised with the history of British oppression of the arts. With such beautiful roots and unorthodox innovations, all types of people have taken Kathak on as a favored dance form. With the combination of traditional and modern themes integrated into the style, it’s almost as if Kathak strives to represent the Indian spirit. Readiness. Through consistent training, dancers practice until they are thoroughly ready to represent the dance in a smooth, accurate manner. Also known as tayari, the act of practice can help performers improve their technique. Understanding. The mental aspect of Kathak dance must also be interpreted and understood in order to become an effective dancer. Incorporating Layakari, dance lessons here focus on the beauty behind timing and rhythm. Beauty and Delicacy. The beauty here is in the detail, and being able to subtly influence the audience and evoke a certain emotion in the crowd is essential for making Kathak dance a moving experience. Dancers here will focus on the details of their dance, including movements and facial expressions. Dancing Technique. Also known as Nritta, this element consists of accentuating the rhythm with graceful movements. The basics of movement are utilized here to focus on timing and proper movements. Rhythm and Expression. This element of the dance, known as Nritya, involves bodily movements and facial expressions that express the meaning of a song or story. As opposed to Nritta, this facet focuses on the more interpretive movements, utilizing subtlety to convey the mood to an audience. Drama. This element works to bring the emotion and conflict involved with storytelling. Also known as Natya, the drama element works evoke emotions with excellent storytelling. Natya actually exists to create a beautiful experience that works to transform the audience. Regardless of its origins and expressions, Kathak dance has made a major resurgence in the last couple of decades. Dance lessons are now taught to incorporate the beauty of classical elements with the excitement of modern interpretations. As such, our Bollywood dance teachers strive to incorporate the excitement of this dance into our amazing hybrid of Indian culture and history. If you are interested in our Bollywood dance classes, contact us today to see if there is a dance school near you!